YouTube is one of the most used video services on the Internet. Most people have a pretty good handle on how to use the site and make the most of it. However, there are plenty of hidden YouTube features How to Get YouTube "Picture-in-Picture" in Chrome How to Get YouTube "Picture-in-Picture" in Chrome Picture-in-picture is one of the best features to ever grace YouTube's mobile app. Now you can get it in Chrome! Read More that not everyone knows about. Today, we’re going to take a look at one of those called TestTube. Basically, this is YouTube’s place to test the latest features it will be rolling out to the site in the near future. Right now, there are no major changes available on TestTube, but there are a couple of cool things on there. For example, there’s a playlist that features some cool 4K videos Getting A 4K Monitor? Which Browser Should You Use? Getting A 4K Monitor? Which Browser Should You Use? Running Windows on a 4K monitor can be a huge boon to productivity. The large, pixel-dense space provides plenty of room to open windows. But will browser content scale well on your Ultra HD monitor? Read More and tips on how to find others like them. This feature may not work well on every device, but if you’ve got a powerful rig, try it out! Did you know about YouTube’s TestTube? 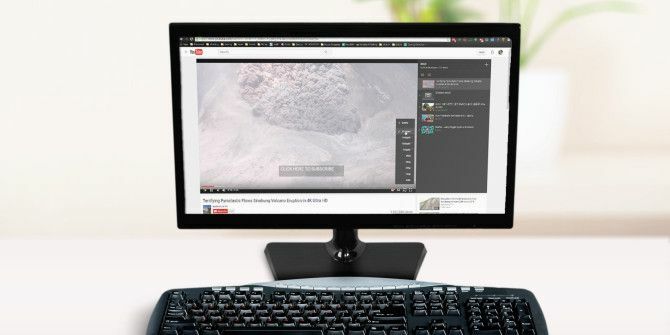 Can your computer handle the 4K videos at 60FPS? Let us know in the comments! Lol... I have a 1080p display, a mobile GPU and a limited home internet connection... This would blow up my computer and modem. It's still good enough to let me play Fallout 4 though so that's all I need. Maybe one day I'll get a 4k display and new PC. Nice to know it's available though. Did You Know YouTube Has a Secret Dark Mode?